Set of 6 exercise activity classroom carpets with fun animal themed stretches. Ideal for use in schools, pre-schools and nurseries. 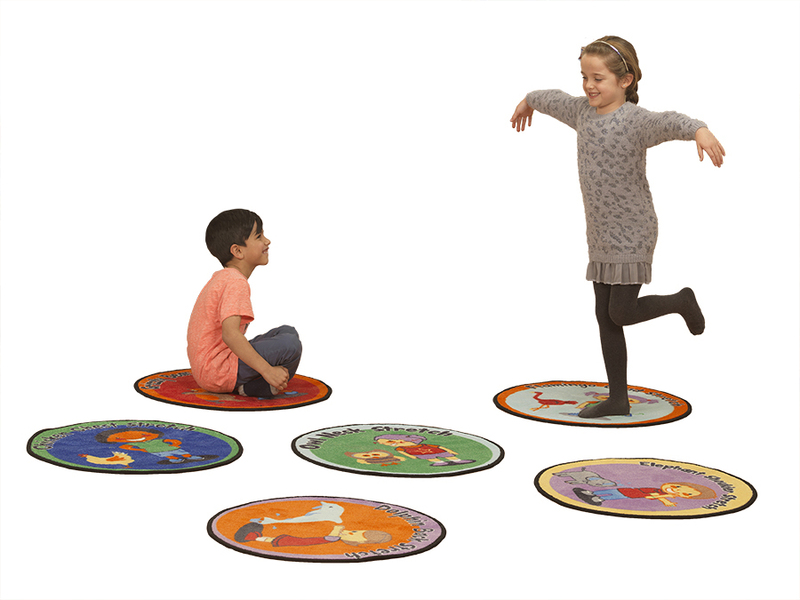 These classroom rugs provide an enjoyable way for children to participate in gentle physical exercise. 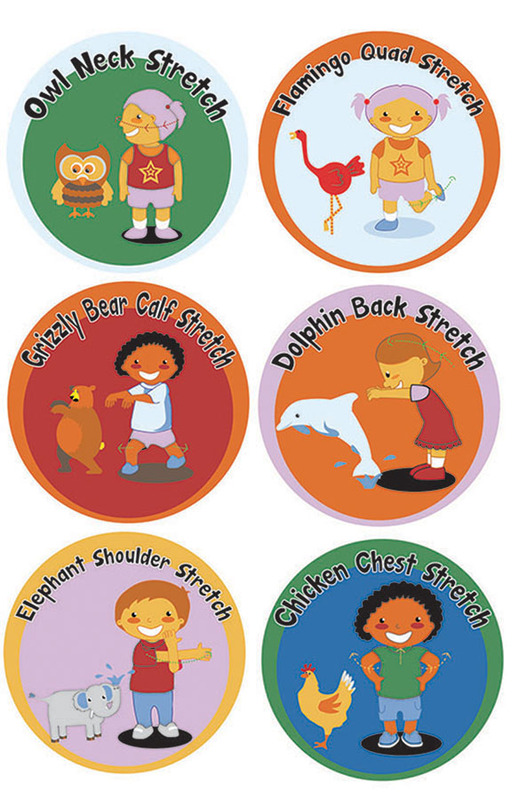 Use them to encourage physical activity as part of a game or as part of a daily routine. The set of 6 circular classroom carpets feature triple felt backing, double stitching and benefit from a locked in anti-microbial feature for improved durability and cleanliness. They can be used in a classroom for fun interactive games or as a warm up at the beginning of P.E. class.